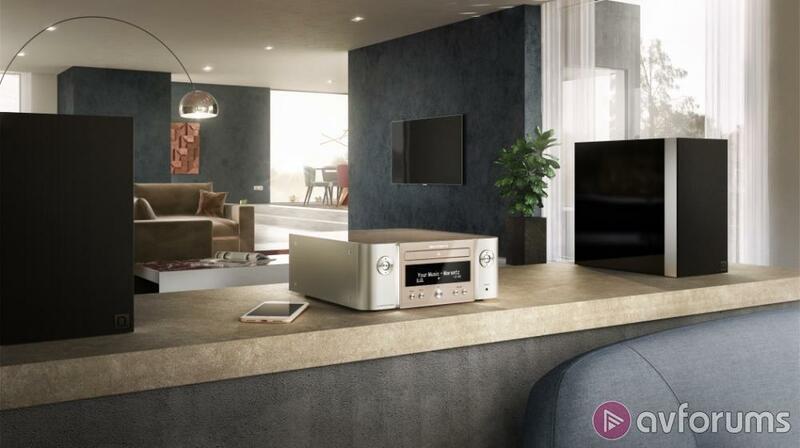 Marantz has packed a CD player, stereo receiver, DAB and a network audio player into their smallest Hi-Fi system to date - the Melody X. The package comes in two colours, black or silver-gold and has been engineered and tuned by a team of experts with over 65 years if Hi-Fi experience between them. As the way in which music is consumed throughout the household is changing, so the Melody X has been created to reflect and address those changes. The Melody X features four channels of digital amplification which use compact signal paths to reduce distortion and which can be configured to run two pairs of volume independent speakers. Options for a single pair of speakers include bi-amping or using the Parallel Bridge Tied Load (PBTL) mode which will double the output power to 60W per channel. A range of demanding speakers, including 4 ohm models can be used with the Melody X. Since it is kitted out with HEOS (Home Entertainment Operating System) which uses the existing home Wi-Fi router, music can be streamed from Spotify, TuneIn Internet Radio, SoundCloud, Tidal, Napster, Deezer or any locally stored music files. A wide range of file formats are compatible including Hi-Res at 192kHz/24bit, DSD 2.8/5.6MHz. HEOS compatible speakers and receivers can be added so that each room can be bought on board to create a multi-room setup which is controlled via the HEOS app for iOS and Android. A single song can be played throughout or each room’s music can be individually tailored for the occupants. 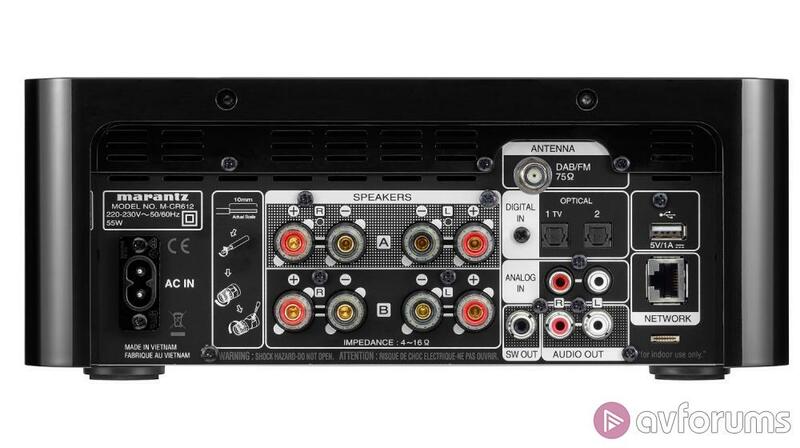 Additionally, the Marantz X receiver supports Bluetooth and Apple AirPlay 2, so any number of music sources can be accessed including a listener’s smartphone, tablet, PC, Mac, Apple TV or Airplay 2 compatible TV, such as the latest from Sony and Samsung. Voice control is included and all the main digital assistants are supported. Using spoken commands, simply request the next track or that the volume in the kitchen is reduced. It’s possible to switch between Alexa, Google Assistant or Siri to keep things interesting, or just stick with a favourite. Not only can the Melody X handle multiple music tasks but the two rear optical digital inputs can take a signal from a TV, set-top box or Blu-ray player so the unit can be used for the audio playback of movies and TV shows. Upon detecting an audio signal from the TV, the Melody X will wake into playback mode. The large, central OLED display is visible from wide angles and enables quick visual feedback for easy operation and control. ·Stream music from TuneIn, Internet Radio, Spotify, Amazon Prime Music, TIDAL, and from smartphones via AirPlay 2, Bluetooth. ·Supports Amazon Alexa, Google Assistant and Apple Siri voice assistants. Note: availability is territory dependent. ·High-resolution audio playback for network and USB: Supports WAV/FLAC/ALAC 192kHz/24bit, DSD 2.8/5.6MHz and Gapless playback (WAV/FLAC/ALAC, DSD). ·Two digital optical inputs for TV or digital device. Works with TV remote to adjust volume, mute and source selection.